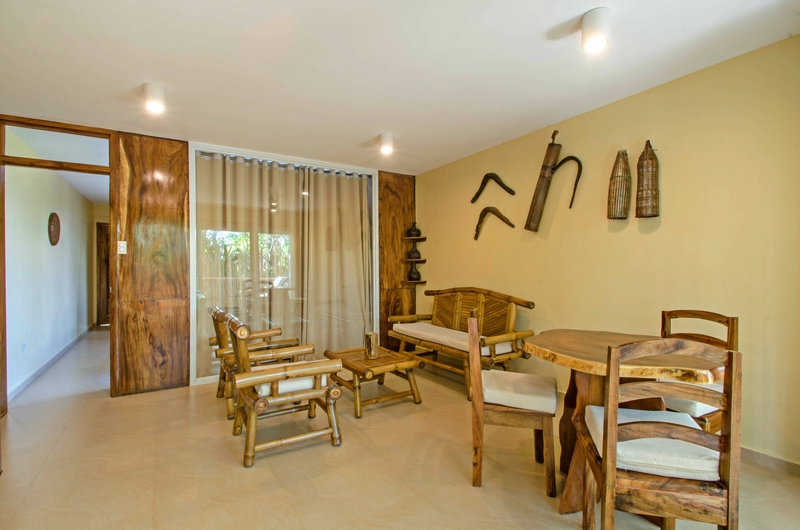 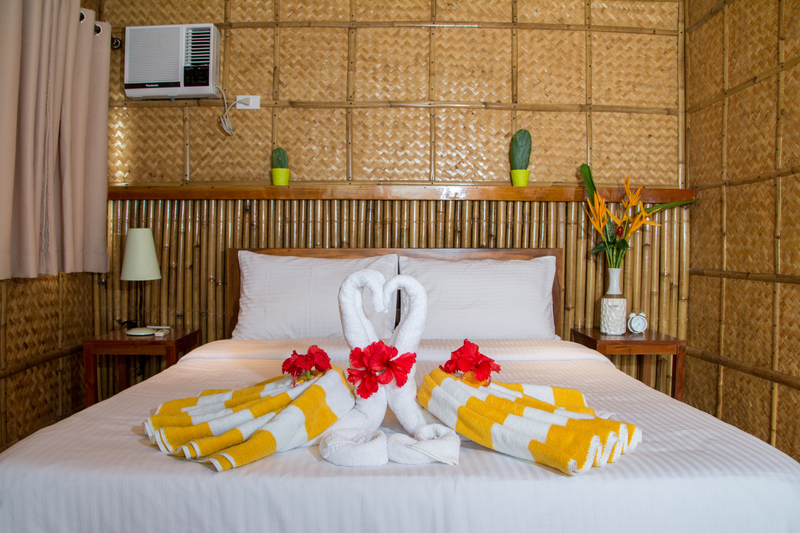 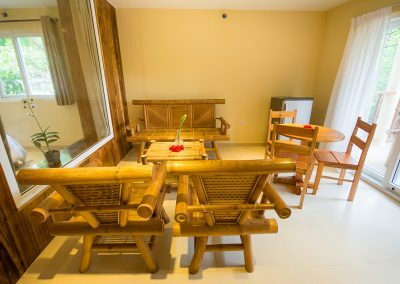 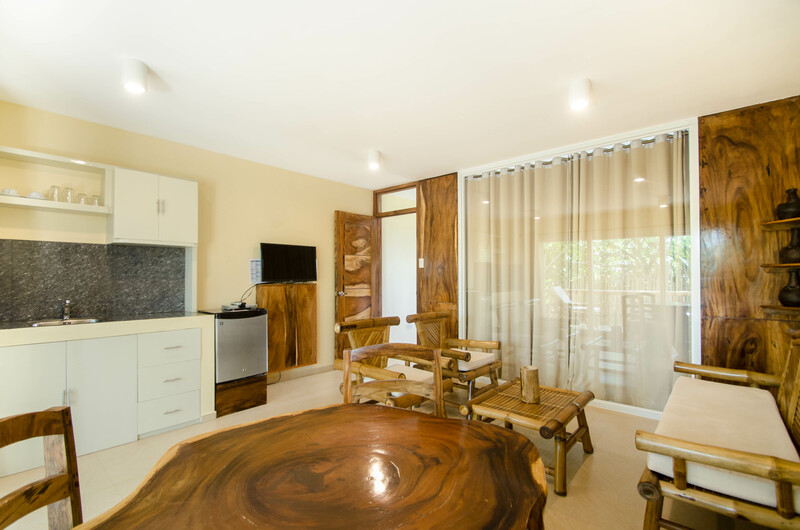 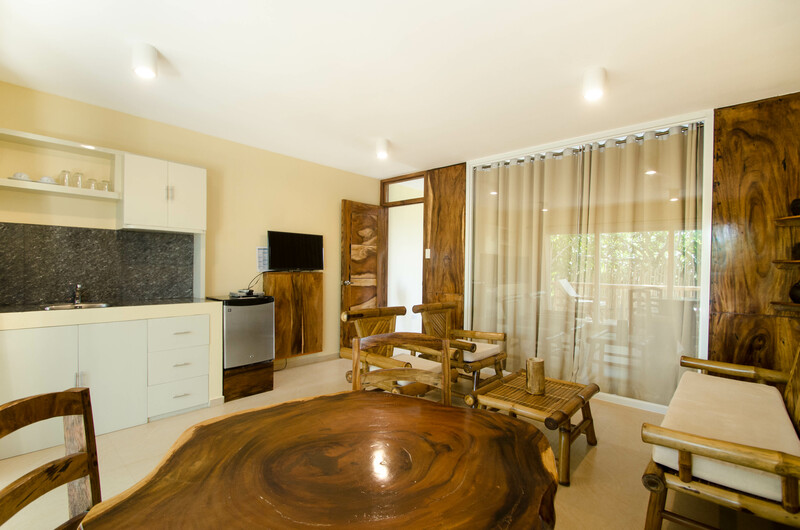 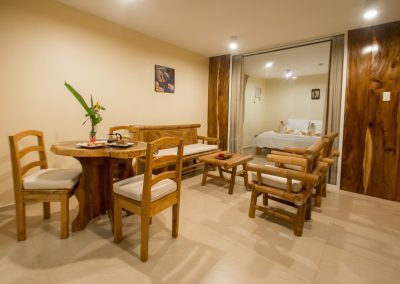 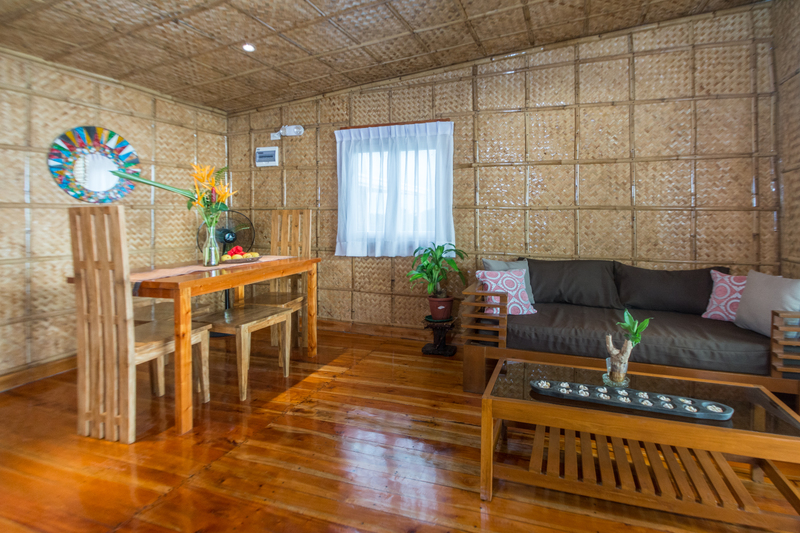 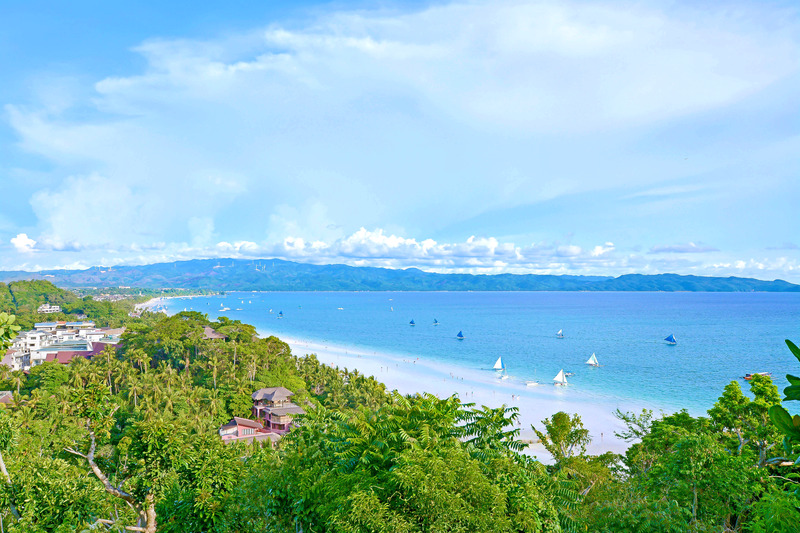 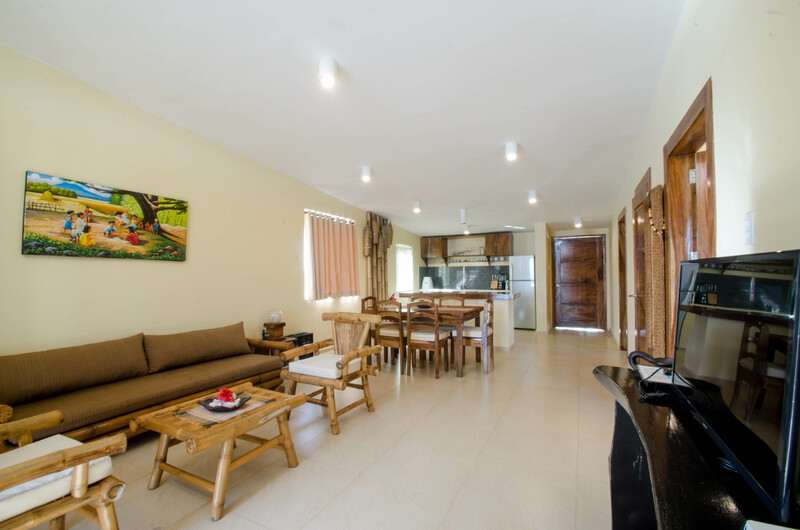 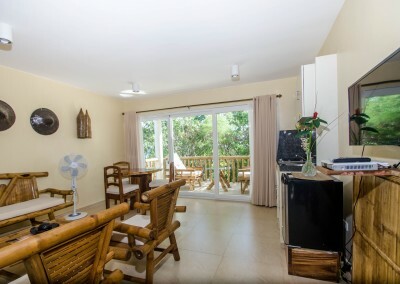 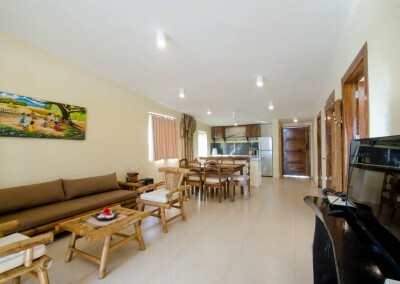 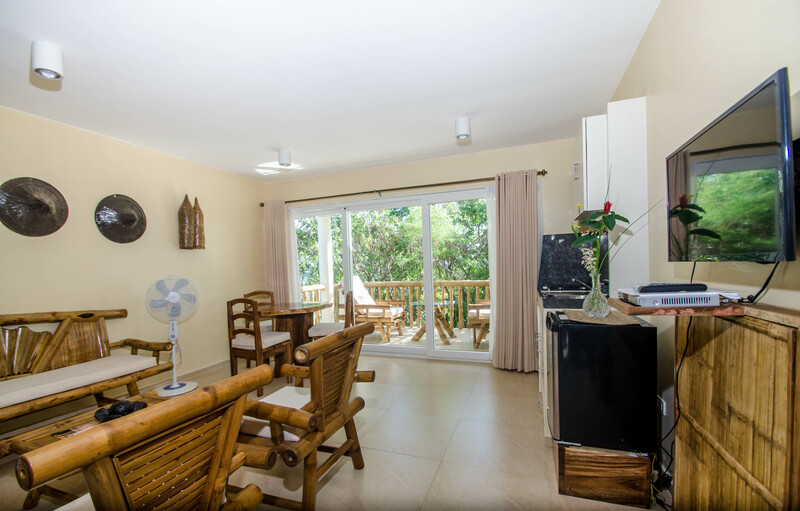 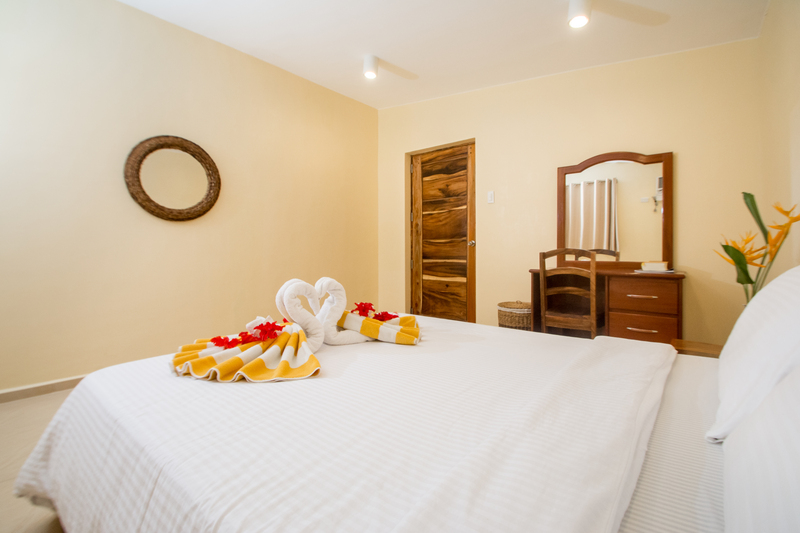 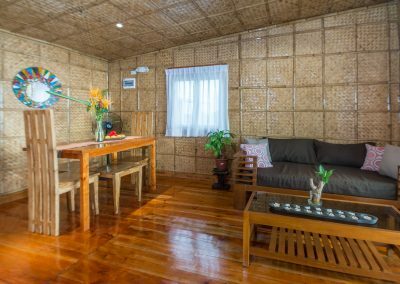 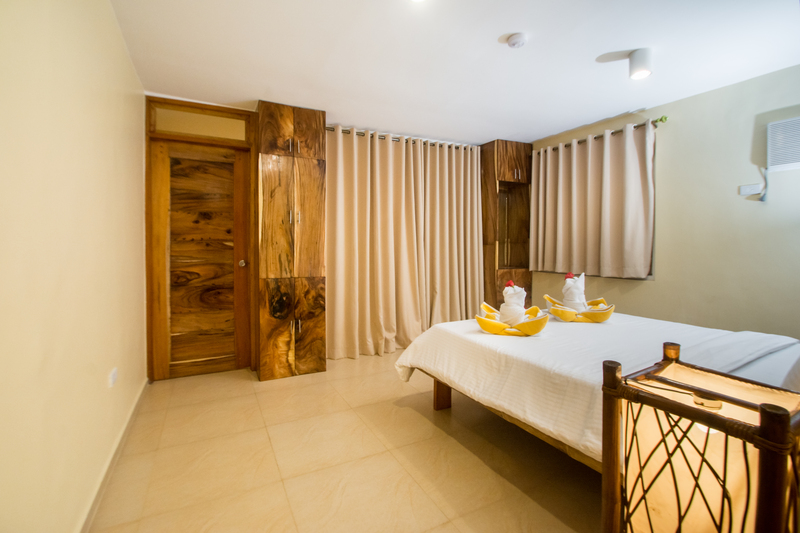 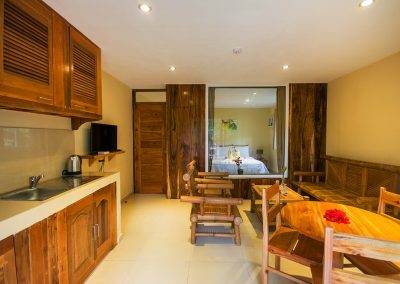 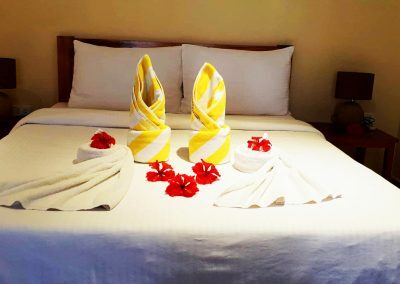 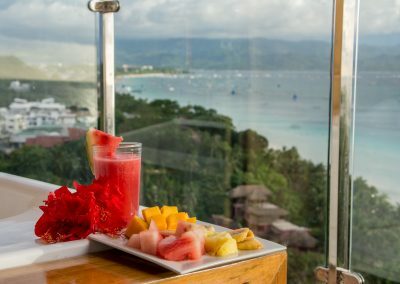 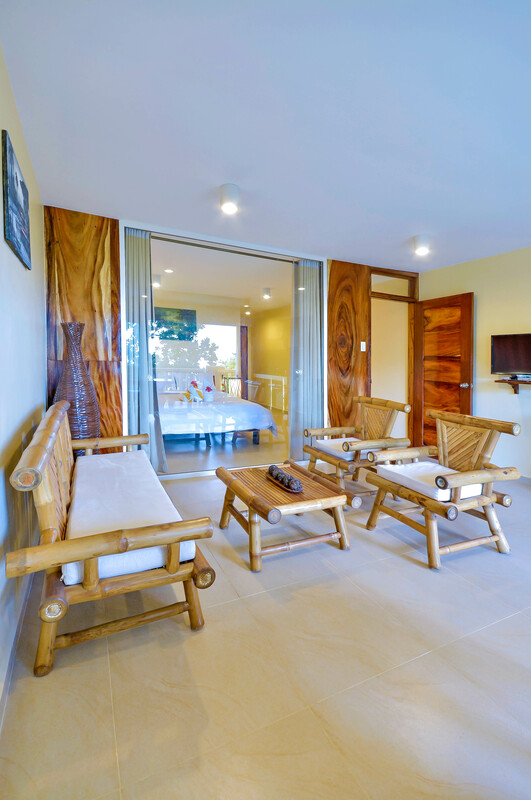 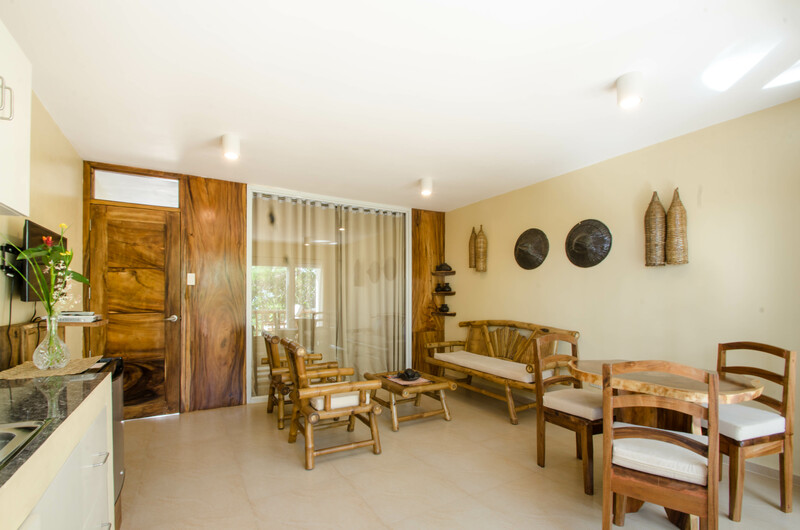 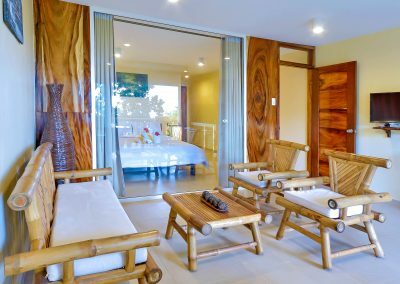 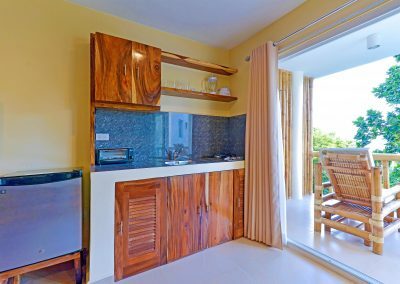 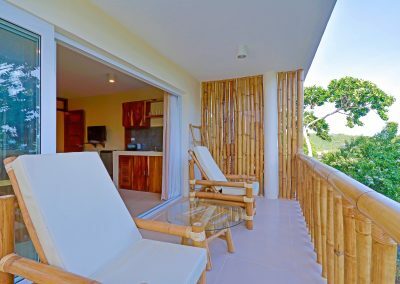 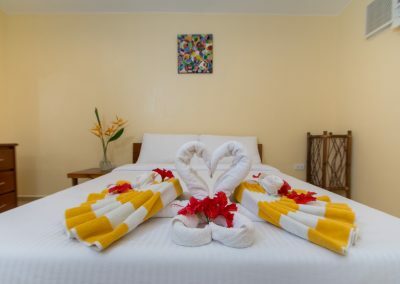 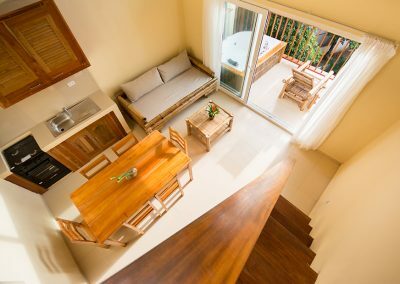 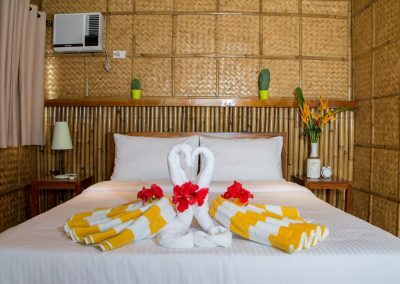 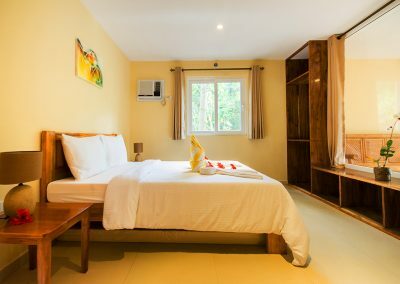 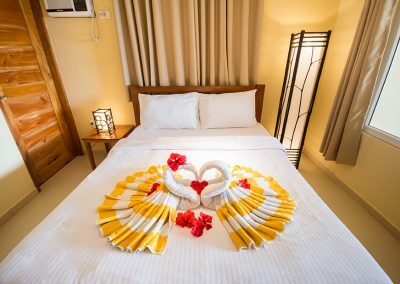 Boracay Amor is an apartment type hotel composed of 3 identical buildings with a total of 18 units available for daily and monthly rent. 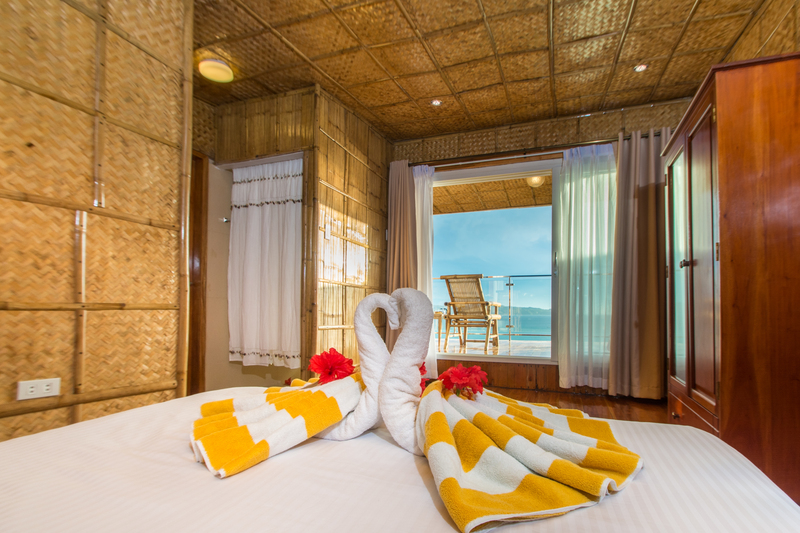 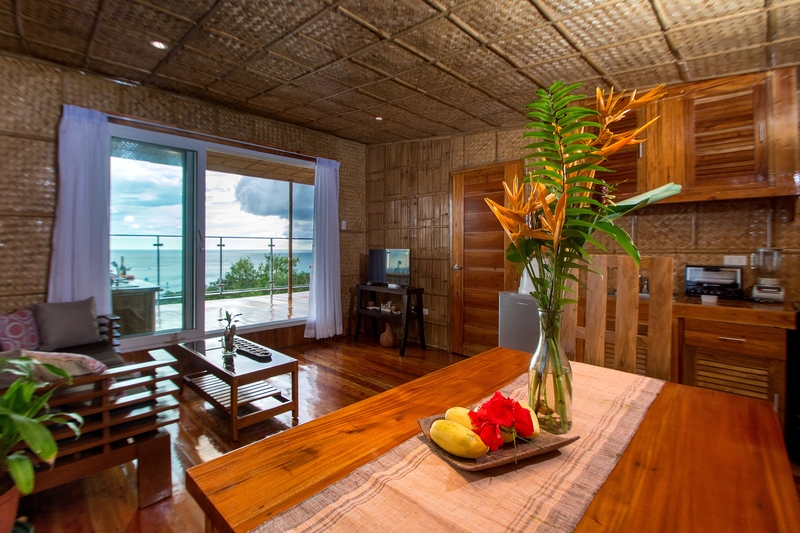 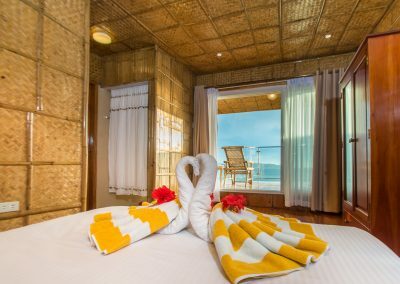 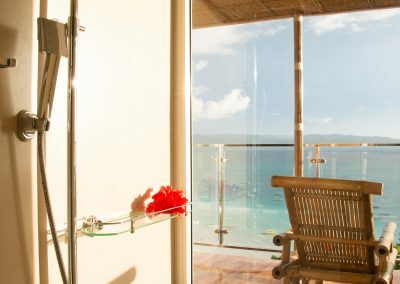 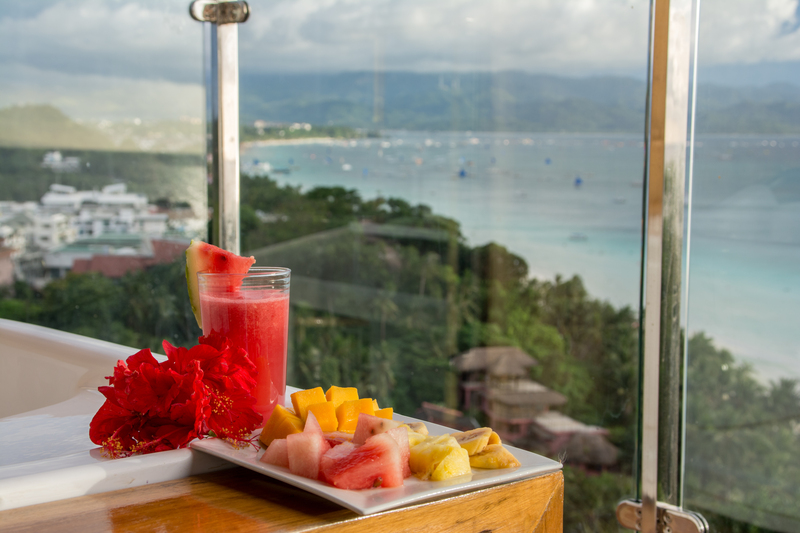 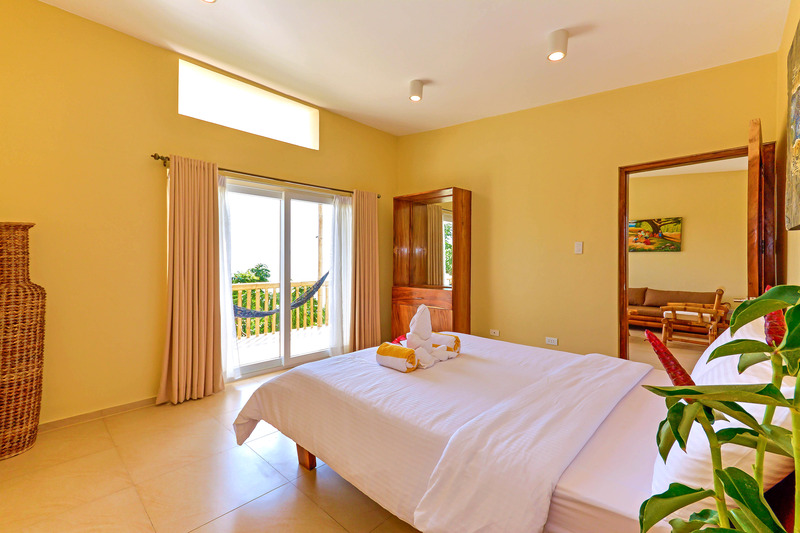 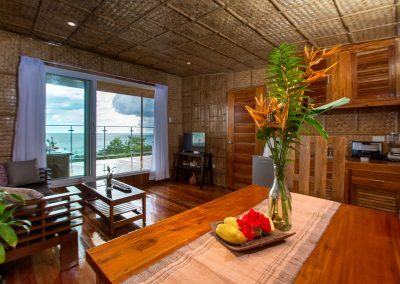 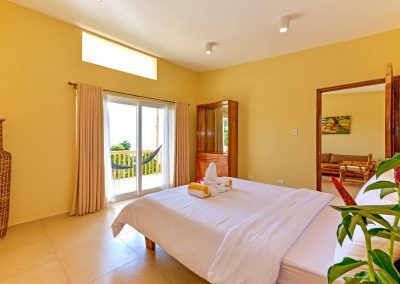 Each room offers spectacular view of the garden, the natural surroundings and the panoramic white beach. 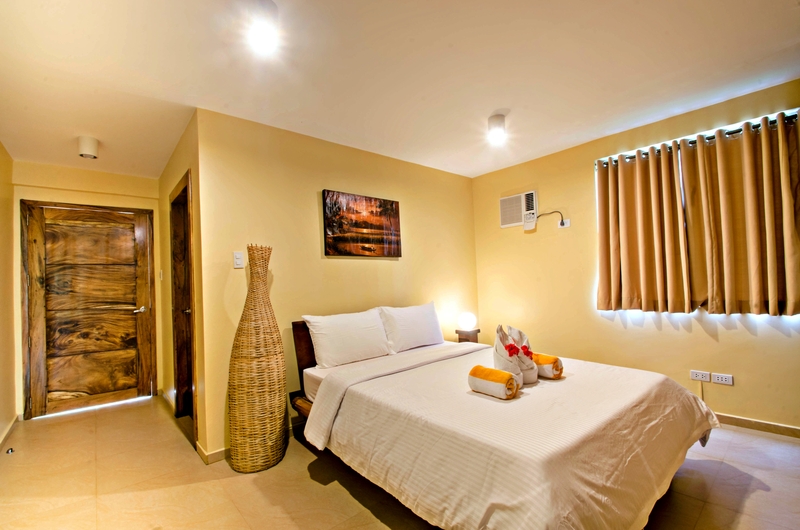 Have your ultimate rest and relaxation when you stay in one of our apartment units. 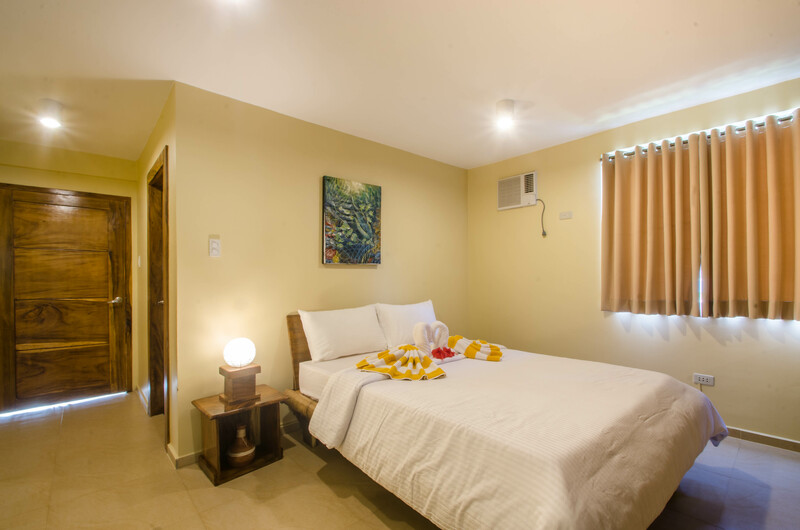 Your comfort is one of our priorities. BOOK NOW. 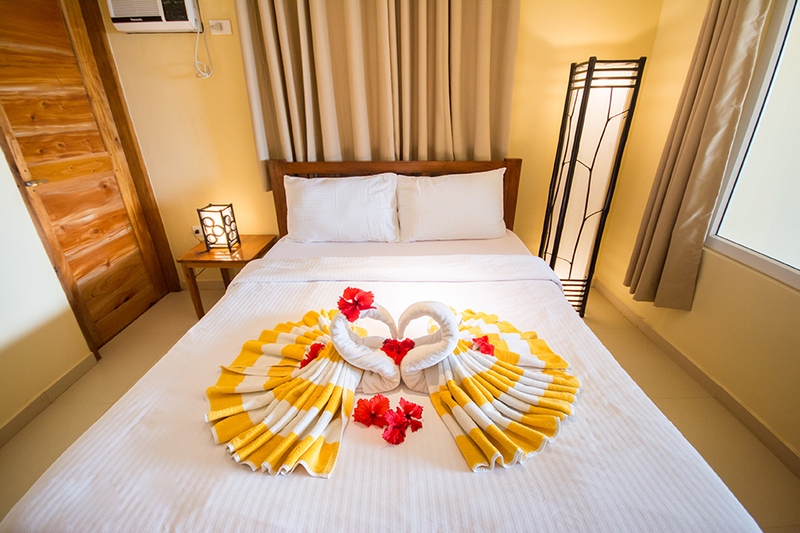 Specially designed for couples to have their luxurious romantic moment. 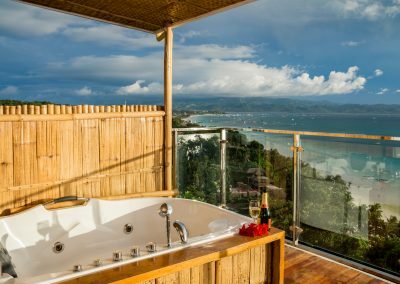 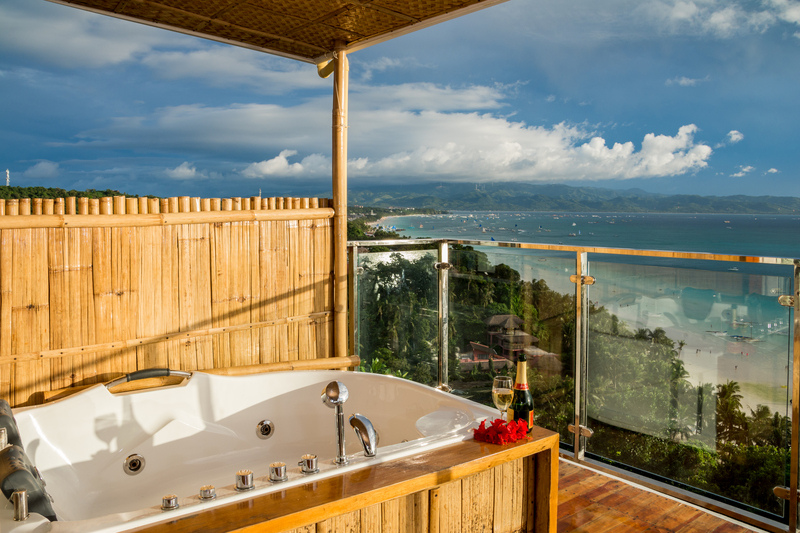 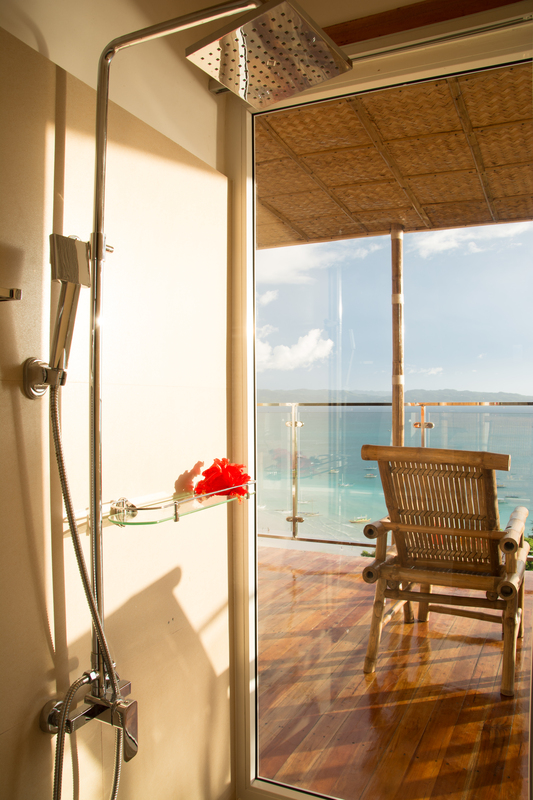 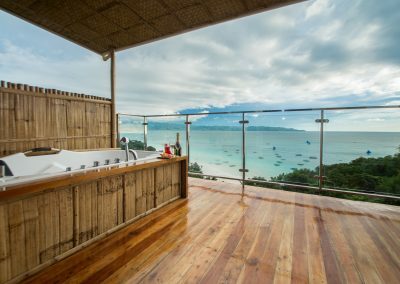 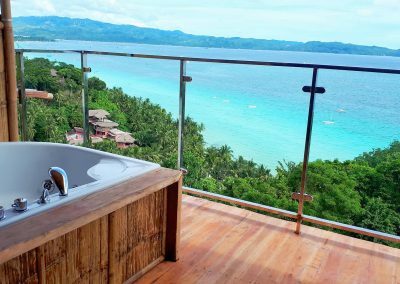 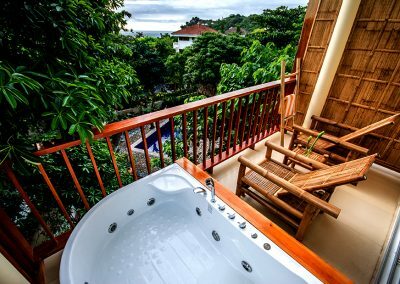 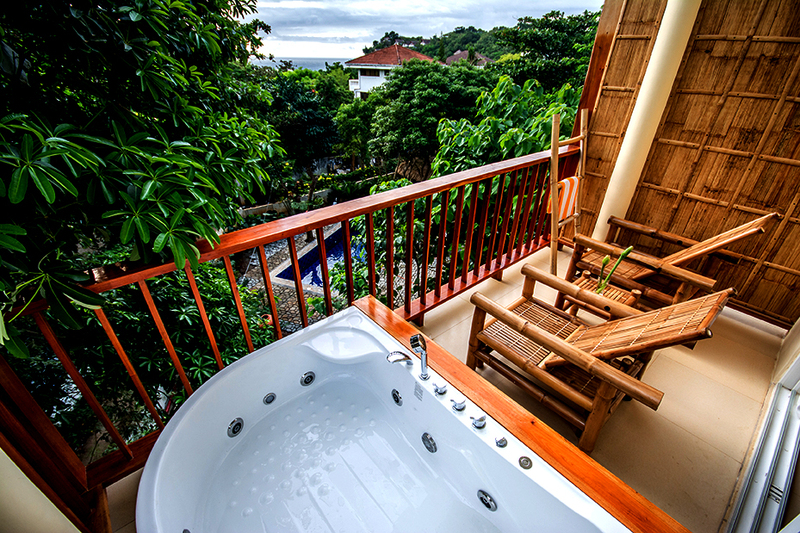 A jacuzzi is set-up at the balcony with a panoramic view of the beach. 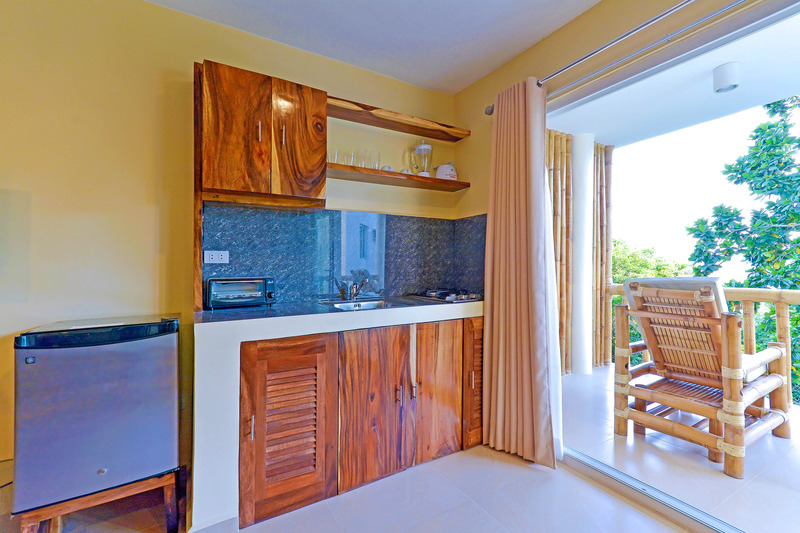 This one bedroom unit has glass sliding doors to give you a perfect view. 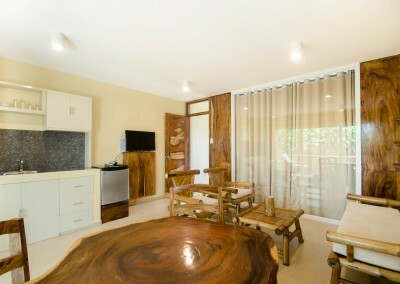 Like all other units, it is equipped with kitchen, dining and living room. This apartment type unit is perfect for a family or a group. 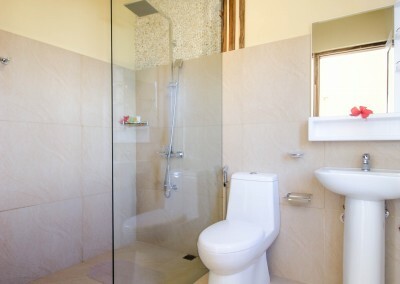 Featuring two spacious bedroom and two toilet and bath. 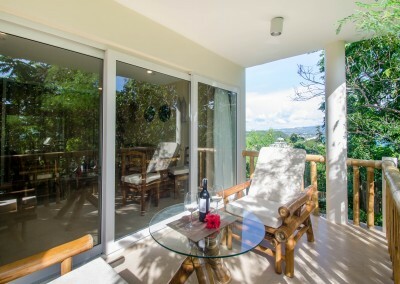 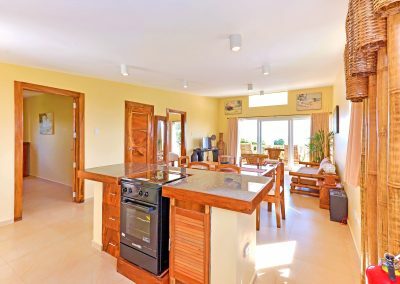 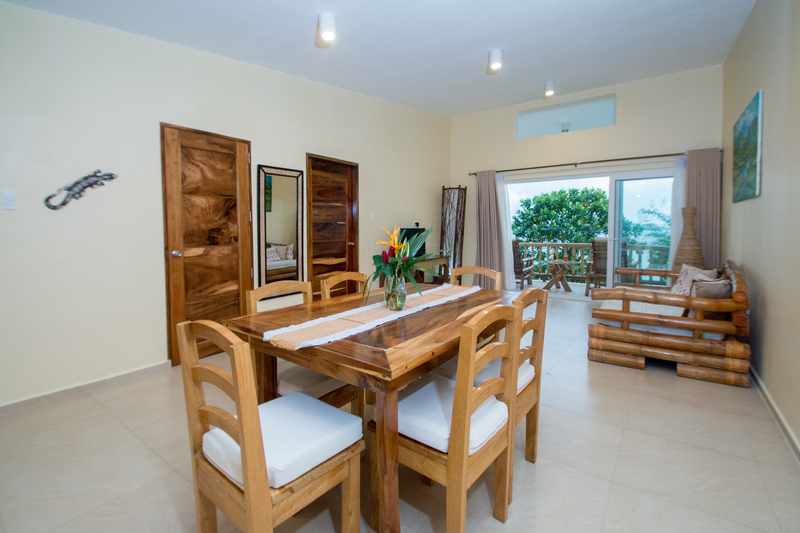 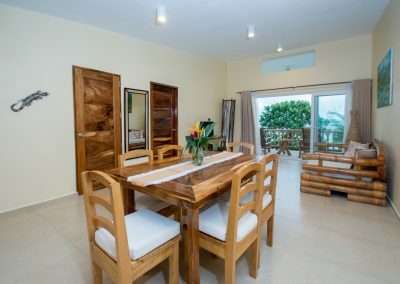 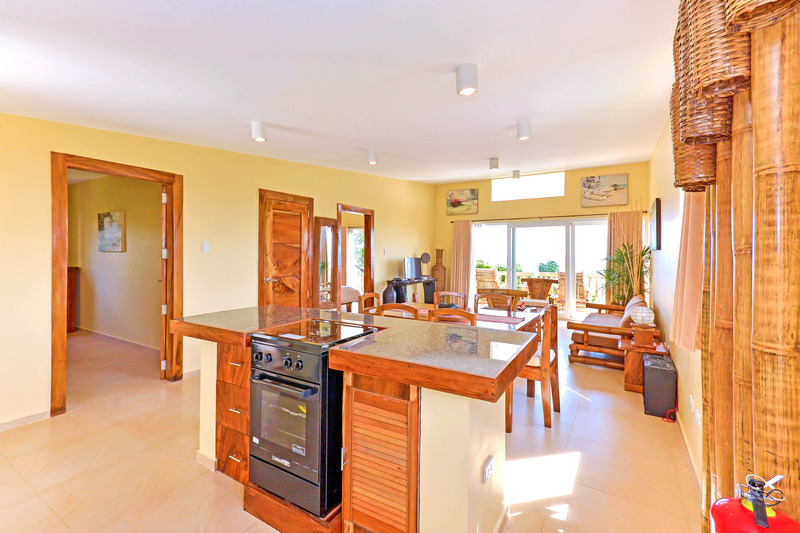 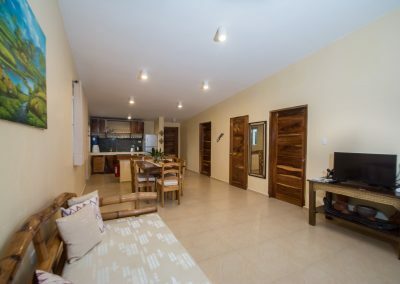 The highlight of this unit is the panoramic view of the surrounding nature – beach and hillside. 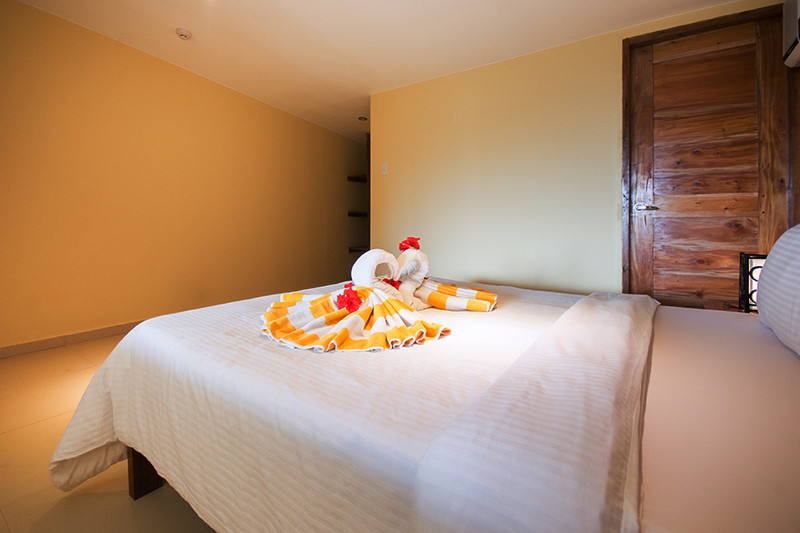 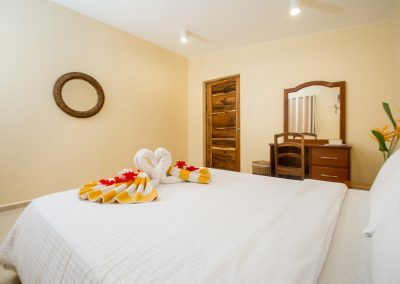 Equipped with 1 queen bed, bathroom and air conditioner, this suite is perfect up to 3 persons. 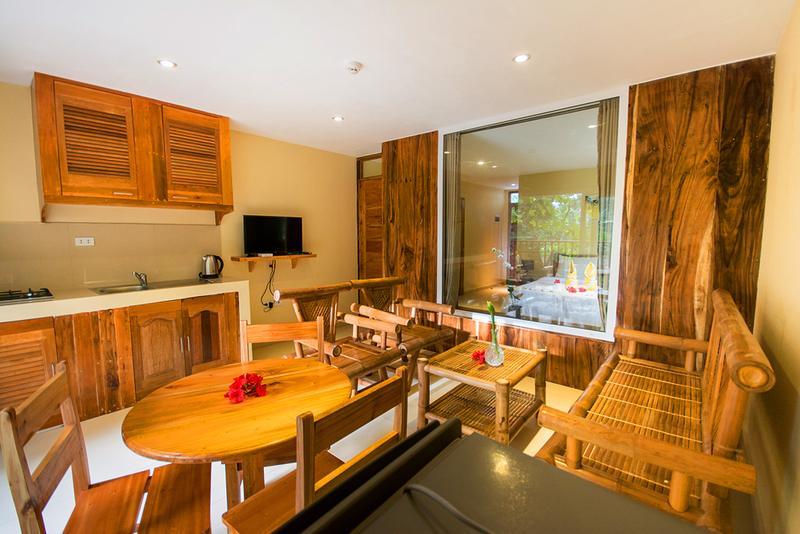 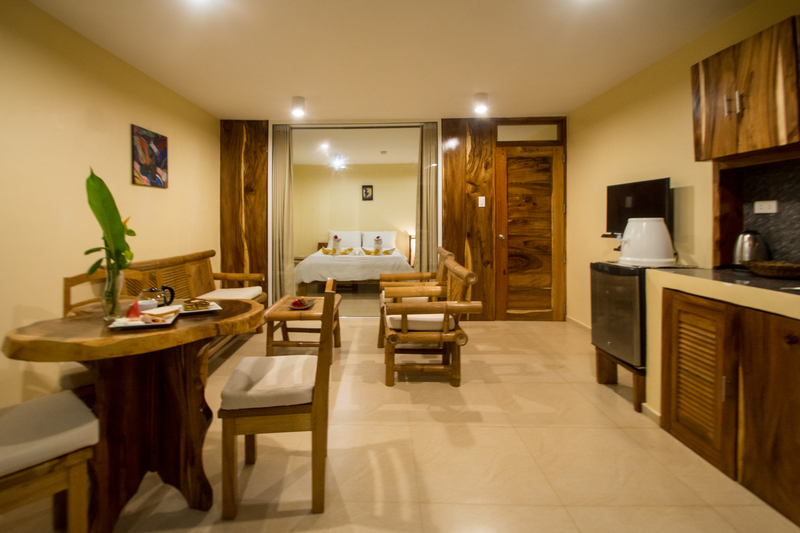 Dining area and kitchenette makes your stay more convenient. 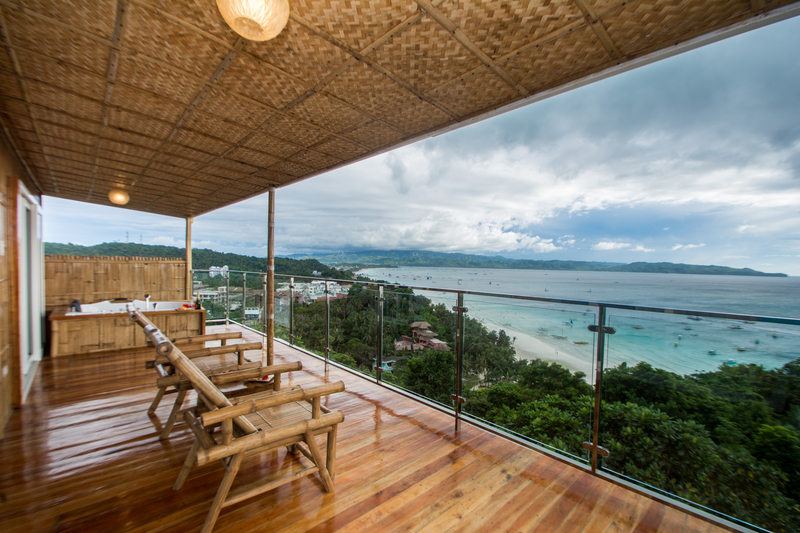 Lounge in a private balcony overlooking the ocean. 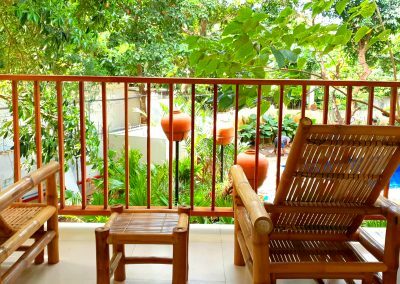 Located on the first floor, this apartment has a balcony with a garden view. 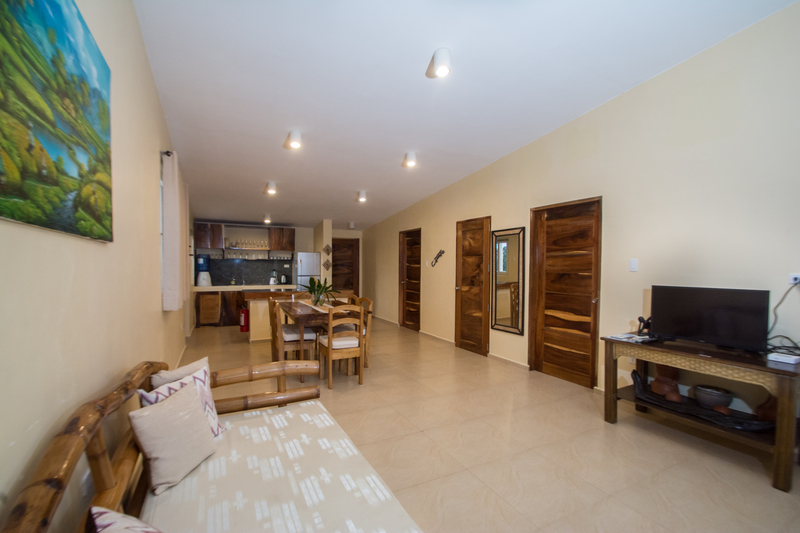 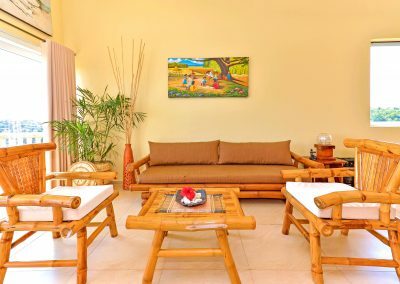 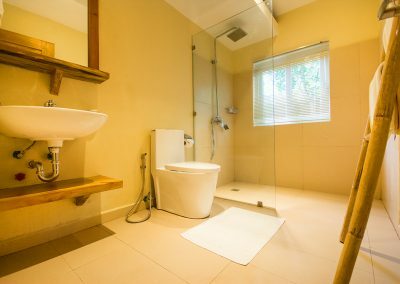 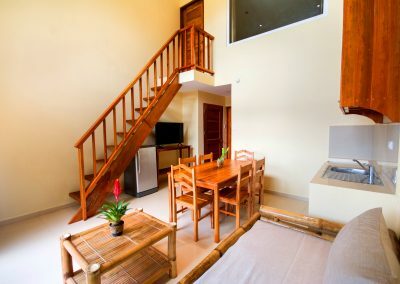 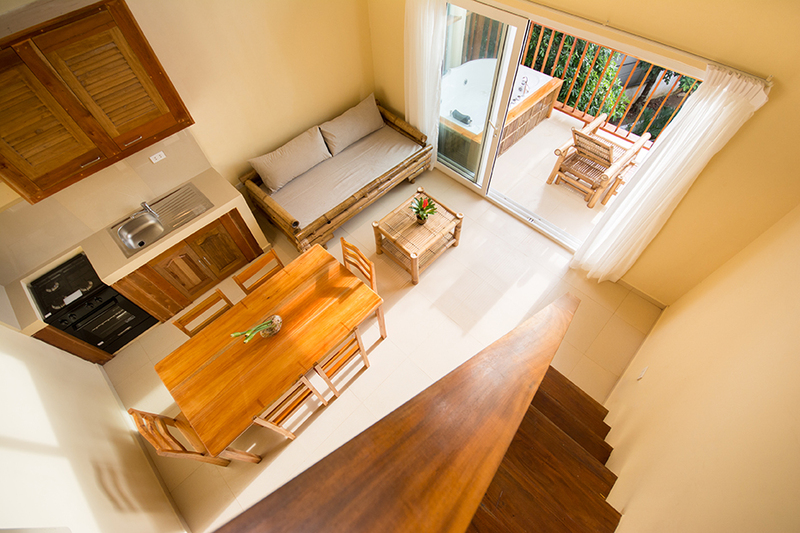 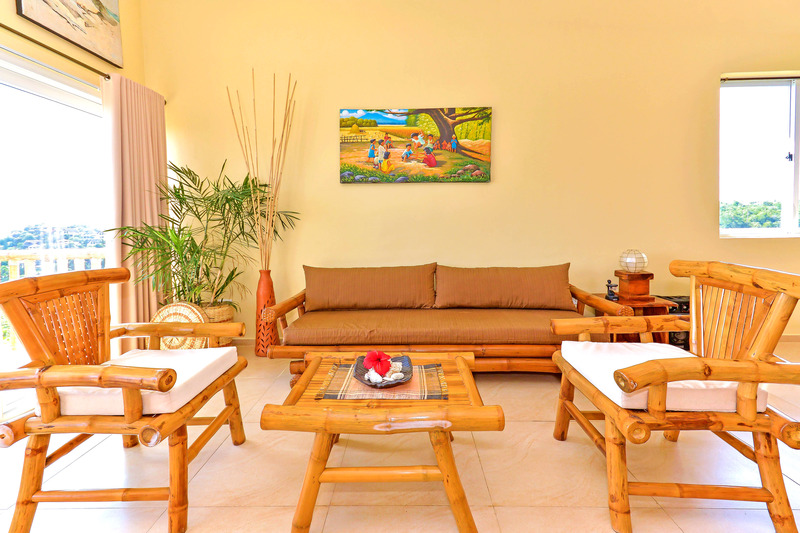 Equipped with 1 queen bed, bathroom and air conditioner, this apartment is perfect up to 3 persons. 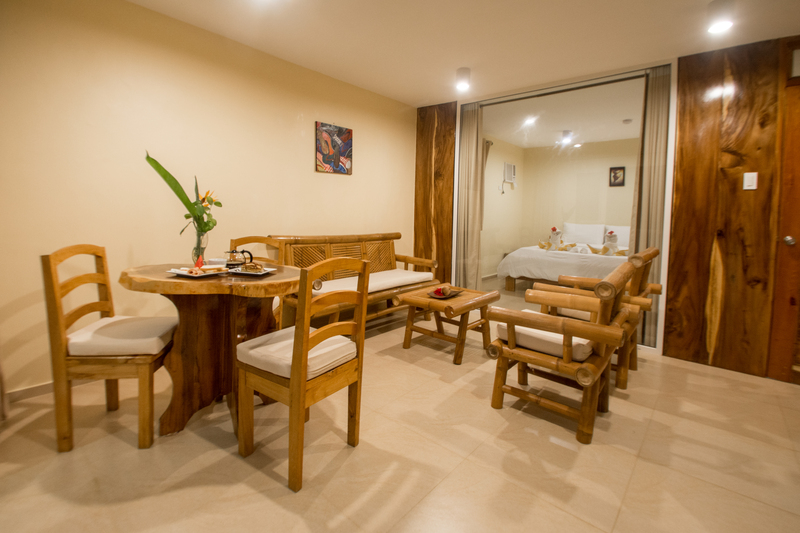 A dining area and kitchenette is available to complete your homey experience. 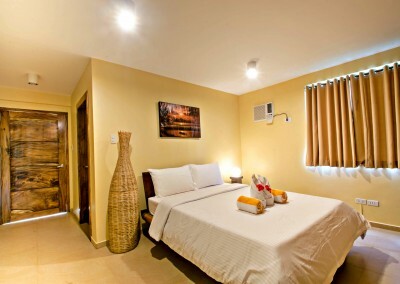 Equipped with 1 queen bed, bathroom and air conditioner, this suite is perfect up to 3 persons. 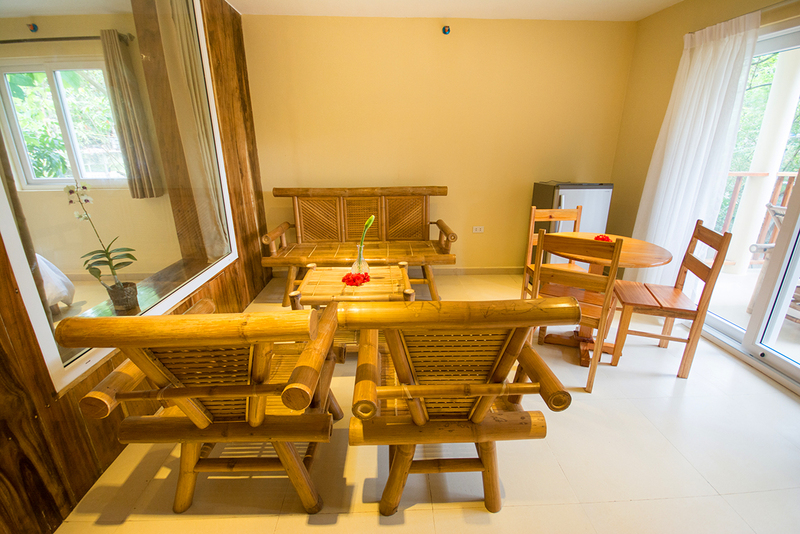 Dining area and kitchenette makes your stay more convenient. 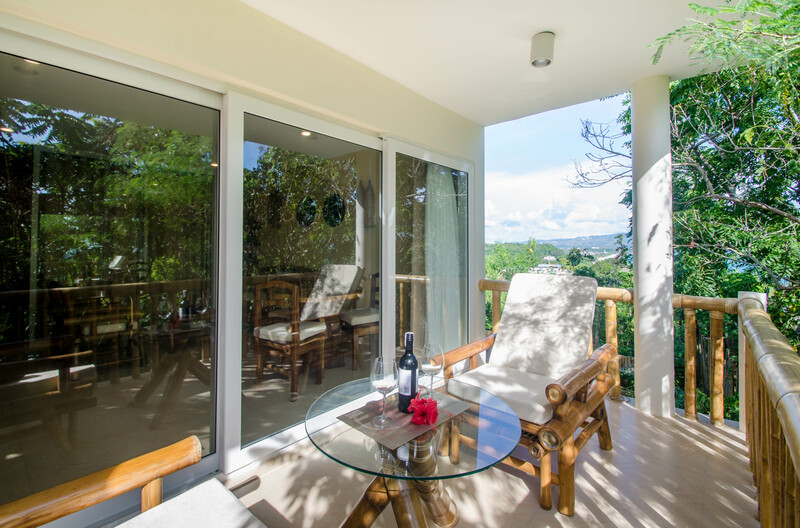 Lounge in a private balcony overlooking the garden. 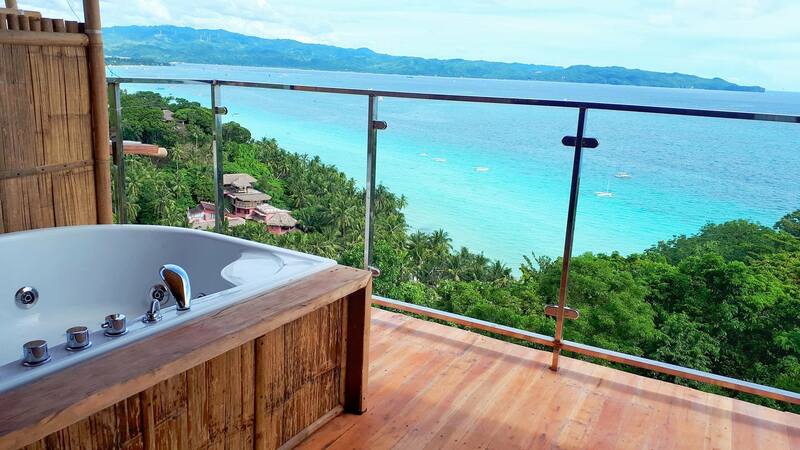 Kid 7 years old and below is free of charge. 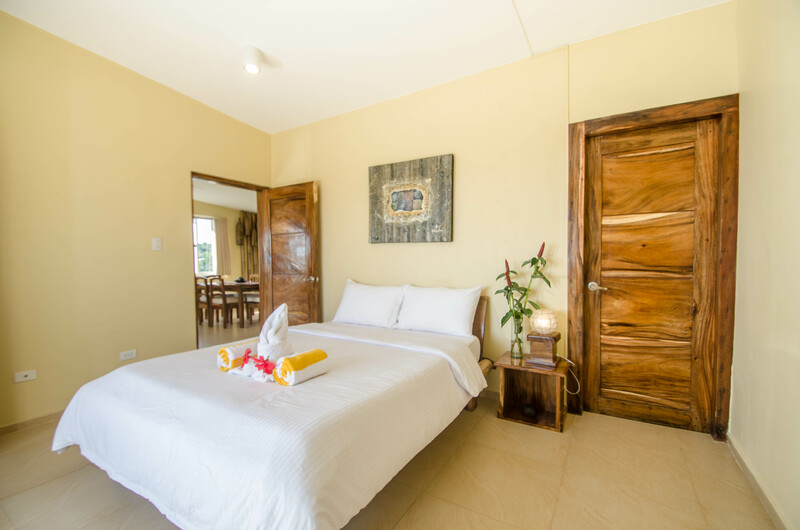 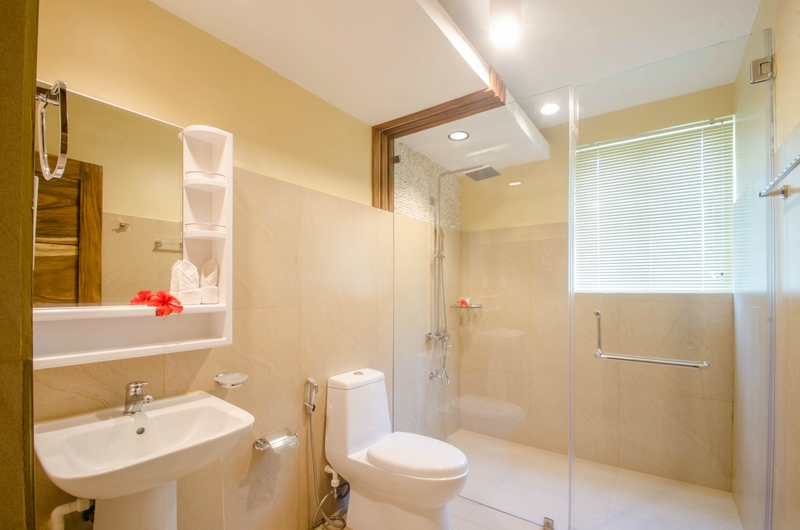 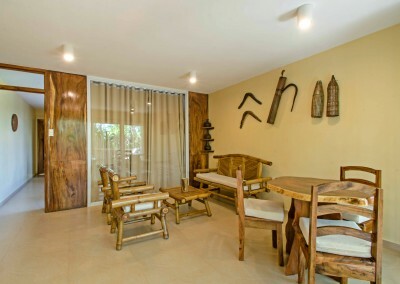 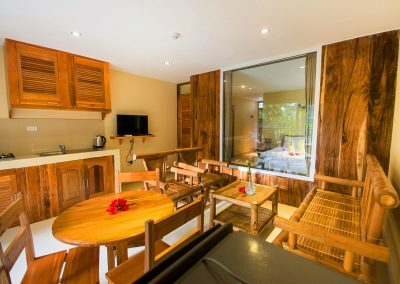 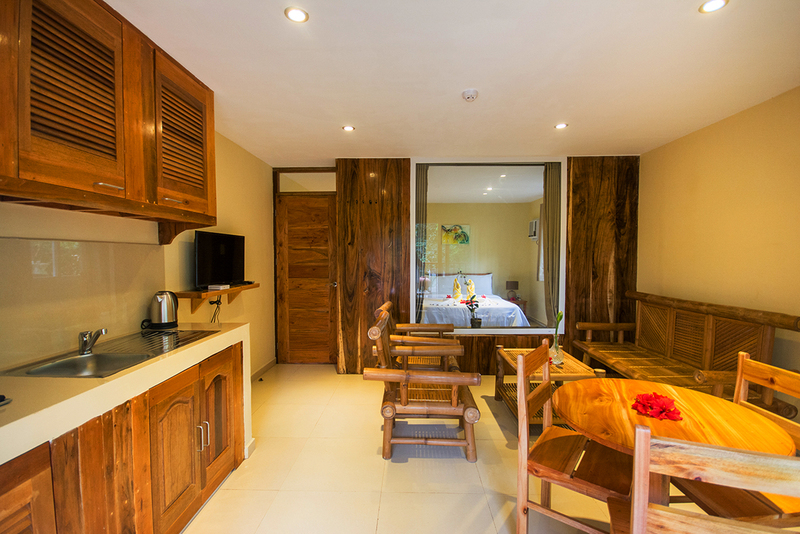 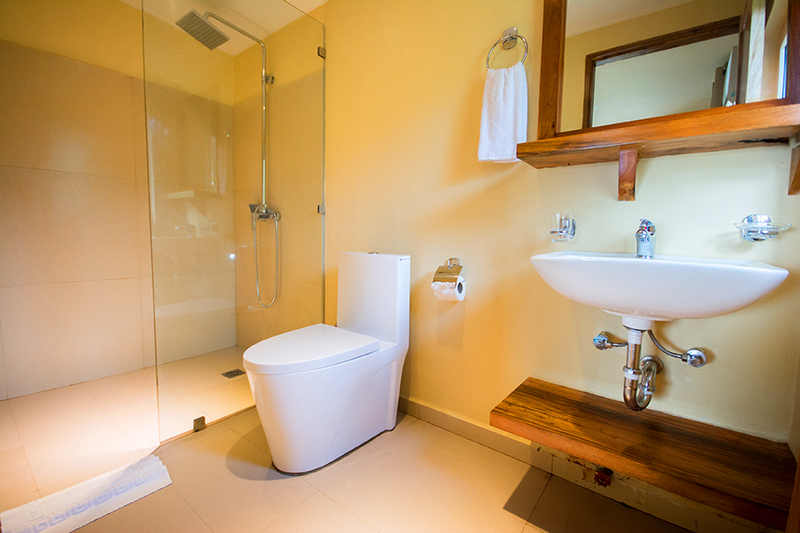 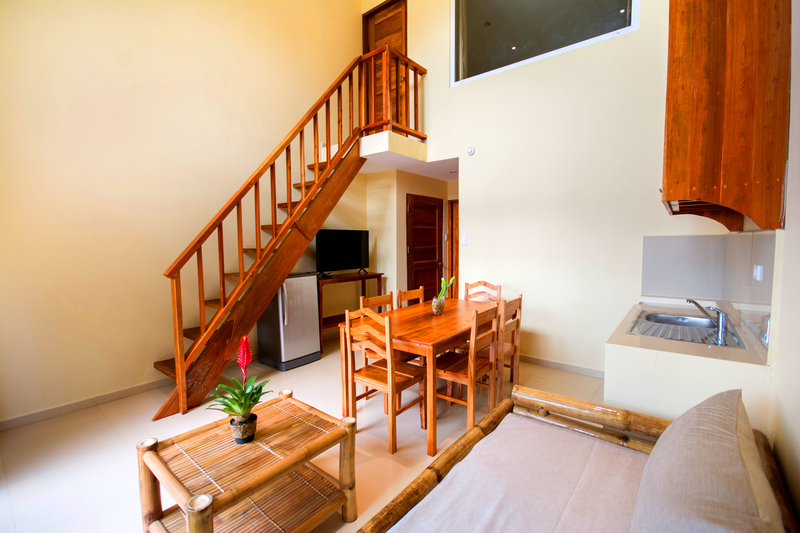 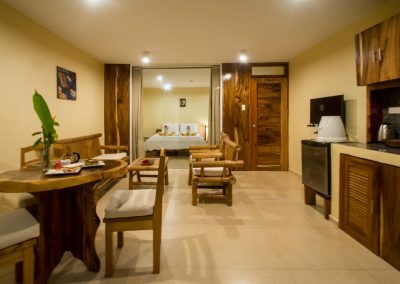 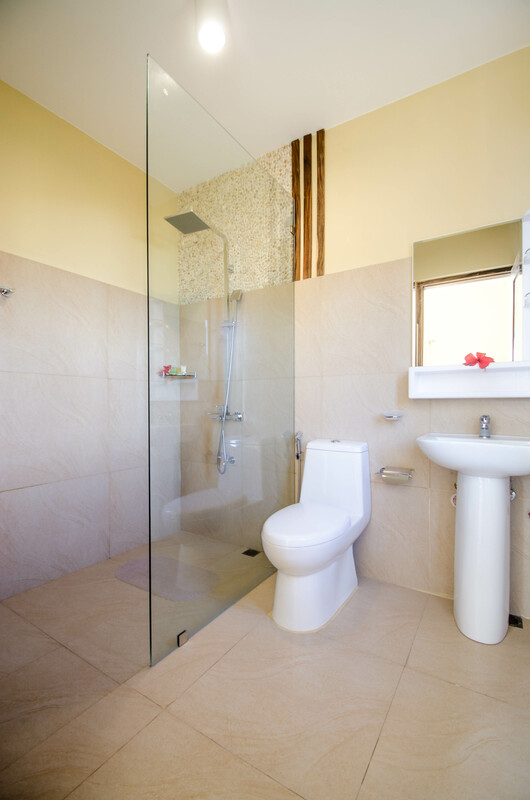 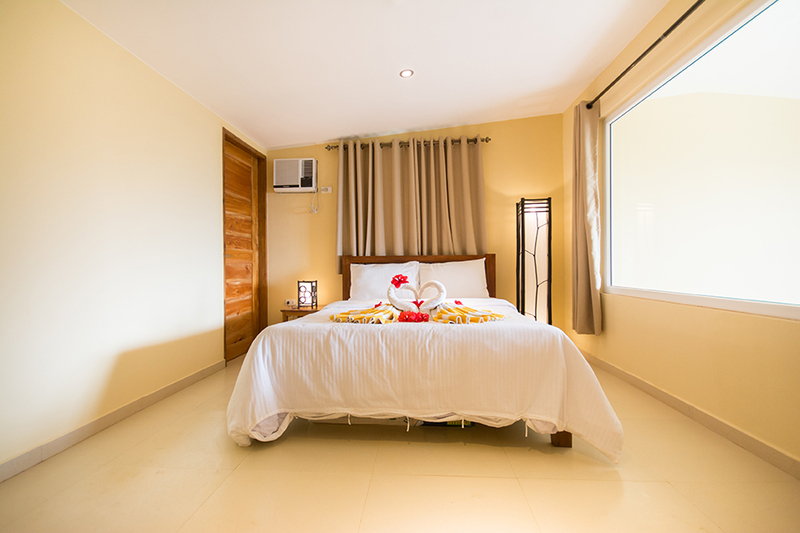 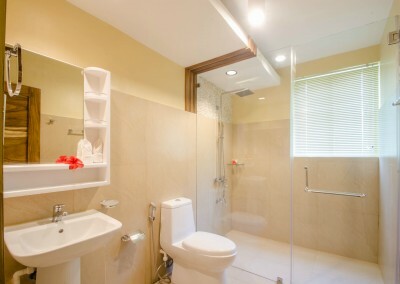 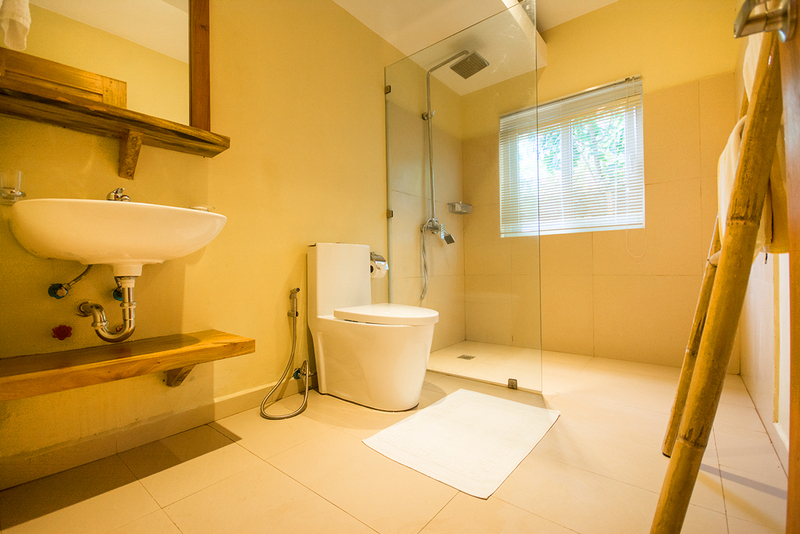 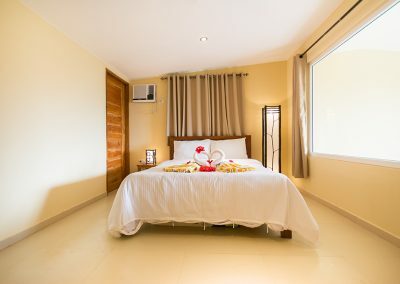 Equipped with 2 bedroom, 2 private bathroom, and air conditioner, this suite is perfect up to 3 persons. Dining area and full kitchen make your stay more convenient. 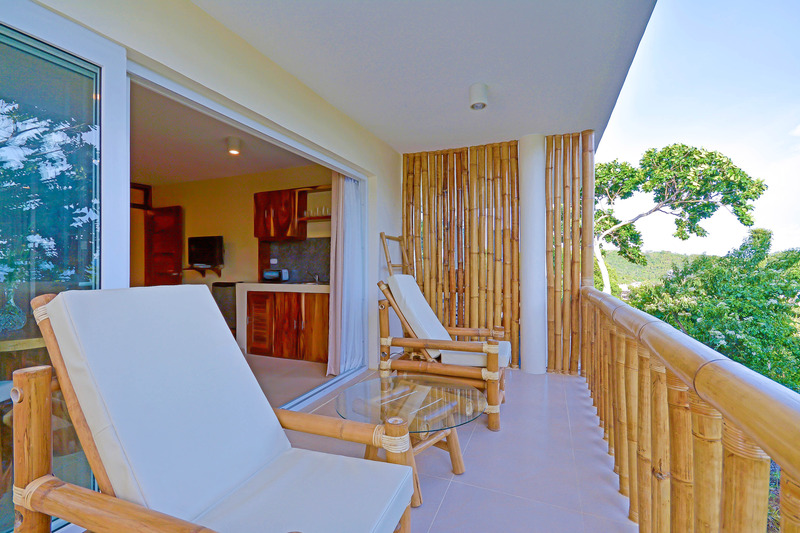 Lounge in a private balcony overlooking the garden and pool.